If you need some more ideas, have a look below. And be sure to check out the possible resources below the ideas, as well. Once gain, there are some good ones! As Alexandra decided to do, you could plan to get up before the rest of your household members so you can get a quiet time to pray, plan for your day, and perhaps work on a goal you have, such as exercise, write a book, or organize your home. Perhaps you want to take an early morning walk once a week to enjoy the sunrise and think about your day. You could speak “positive affirmations” at the beginning of your day. This means that you have some truths that you want to speak that will help you be positive about yourself and your life, and help set the tone for the day. See the Possible Resources section for a set of pre-made cards. You may want to take one of the e-courses in the Possible Resources section. Make Over Your Mornings will help you really think through what you want in your life and how to use your mornings well. 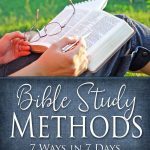 Bible Study Methods: 7 Ways in 7 Days will help those of you who would like to deepen your relationship with God and learn how to dig out the gems of the Bible in your quiet times. The night before, you may want to begin to form some habits to make your mornings run smoother. For example, you might want to set out clothes for yourself (and your kids if you have some), get ready lunch items for packed lunches and breakfast items ready to make in the morning. You may want to turn on some positive music every morning to get you thinking of the best things. I love the song Brave by Nichole Nordeman. You could pray a prayer of daily dedication, telling God that you want Him to use you to help people today and ask Him to open doors and empower you to do soo. Make Over Your Mornings e-course by Crystal Paine. This popular course will help you get clear on your priorities for your life and think through how you can use your mornings well to get you on your way to your goals. 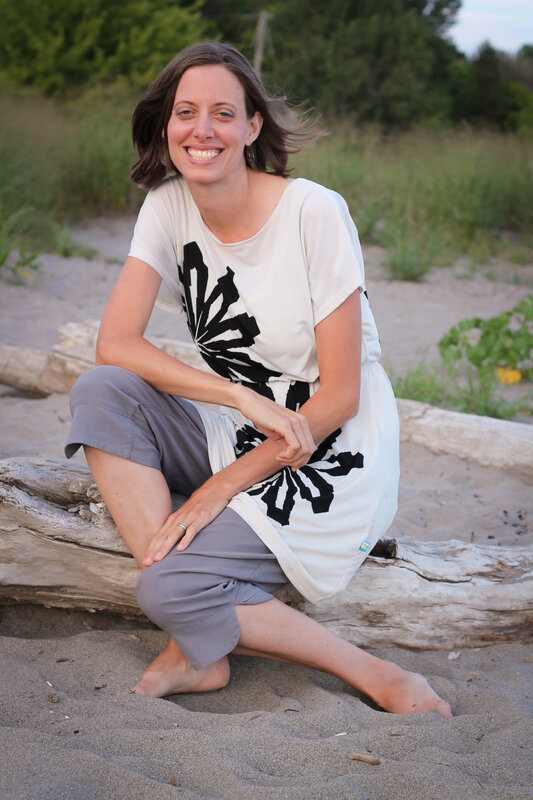 Bible Study Methods: 7 Ways in 7 Days e-course by Arabah Joy. If you want to use part of your morning to continue on your quiet time goals, this e-course should help you do that! Positive Affirmation Cards (free resource). These cards will help you start your day thinking and speaking about the good things about yourself and your life. What we think and speak about often become the things we believe and act on and therefore influence our lives in a big way. You can add your own affirmations on the second page.